Home History & Politics What Was the Weirdest Plague in History? What Was the Weirdest Plague in History? The history of plagues is fascinating to some, a bit morbid to others, but definitely highly important to our ancestry and the personalized histories of each European people and their historical offspring (the American and Australian peoples, as well as the mixed peoples from the colonies). While there were other devastating epidemics in our distant histories, the medieval age plagues are still the ones documented best and the ones we instinctively think about whenever the word “plague” comes up. The bubonic plague, septicemic plague and the Black Plague are the most familiar to our modern ears, but there were various kinds of them literally plaguing the world’s population a few hundred years ago. What other plagues were there? While other epidemics like the Spanish flu wiped out a considerable percentage of the general European population, the plagues seem to remain the most fascinating medieval diseases to this day. Perhaps the symptoms of the afflicted created a stronger impression on the witnesses, or perhaps there are simply enough documents and works of art centered on plagues, but there are definitely more places in the contemporary imaginary dedicated to plagues than to any other non-modern day disease. So, even though you didn’t necessarily dress up as a Plague Doctor during your last Halloween, here is something you probably didn’t know yet about history’s weirdest plague. The Dancing Plague of Strasbourg which occurred during the summer of 1518 is definitely worthy of that title: if this is not the weirdest plague in our history, then everything is dull and ordinary. This so-called plague, named a plague because of its virulence and epidemic-like spread, was a case of dancing mania which scared its contemporaries and was notorious far beyond its initial time and space coordinates. Over the period of one month, more and more people took to restless dancing, in spite all efforts to stop them on behalf of family members or law enforcement. The strangeness of the act and the obviously mental component of the plague sparked vivid debates among contemporaries, with the Church favoring the view that they were dealing with a case of mass demonic possession. While a case of people who won’t stop dancing does sound like the weirdest plague in history, but not very serious compared with the physical ailing plagues, it may come as a surprise that this dancing plague actually had a great toll of deaths as well. The dancing fits were definitely not a mere case of people who has hysterical fun and refused to go home early, since it killed so many of them: over the course of a few days of ceaseless dancing, the afflicted would die of a stroke, a heart attack or simply of exhaustion. 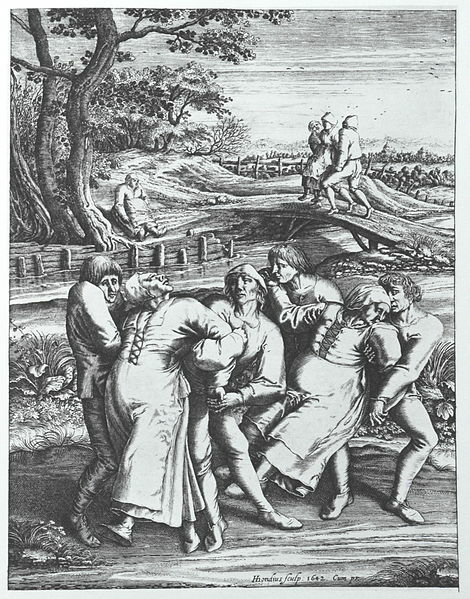 Pictured above: an engraving of Hendrik Hondius which portrays women afflicted by the Dancing Plague and the helpless attempts to stop them from dancing. In total, there were about 400 recorded cases of afflicted dancers, out of which many died, though there aren’t any exact numbers. It is still a small death count compared to the other plagues, but the subject fascinates mainly because there is still no definite scientific explanation for the weirdest plague in history. Some physicians of that time suggested that the plague has a natural cause rather a supernatural one, and their reports indicate that some sort of contagion did take place, since if you went to close to the people dancing, you risked being afflicted yourself. Modern scientists have sketched a number of theories on what kind of pathogen could be transmitted through air and cause such uncontrollable muscle cramps, but there are no definite answers yet. Why was it so memorable? What seemed to terrify the people who witnessed the weirdest plague in history the most, is the fact that many of the dancers were yelling at any passerby for help and cried for someone to stop them from their restless dance. The creepy feeling of witnessing someone being controlled by an external force, especially in an age when superstition was high, must have made quite an impression. As for the authorities, at the beginning they brought in some musicians and made some practical arrangements in the markets to allow people to dance, thinking that if they dance it out, perhaps they’ll grow tired of it and finally go home. When it soon became clear that the dancers will not stop even at the risk of their own death, the city hall issued a period of quarantine and watched helplessly as the weirdest plague in history unfolded. Towards the end of July 1518, the number of new cases dwindled though, and the next month brought with it the official end of the Dancing Plague. While the bubonic plague or the Black Plague were definitely deadlier in absolute numbers, this episode remains to this day an unsolved mystery and a fascinating tale of the weirdest plague of our medieval history. What Were the Worst Dictators in History? What Is The Ring Around The Rosie Meaning? What Was the Original Name of the Big Mac? – History of the McDonald Legacy What are Some Cognitive Dissonance Examples in Everyday Life? What Is Madonna Net Worth? Is My Child Ready for a Puppy? What Did Thomas Jefferson Do? 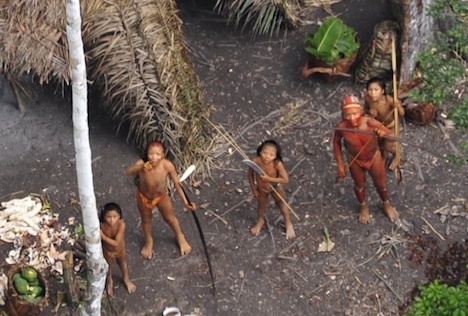 What Happened to Our Contemporary Primitives (The Amazonian Uncontacted Tribe)?